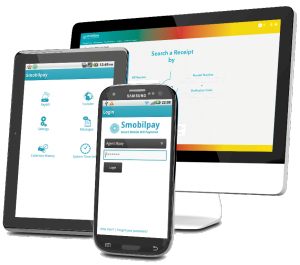 Smobilpay is a digital financial service platform offering value added services to all financial institutions, operators and customers in emerging economies. It is a scalable solution that follows the branchless banking paradigm. It extends the reach of merchants in the market with low fix-costs footprint. We have developed the Smobilpay so that all people anywhere no matter what their geographical location, literacy or income level can conveniently access digital financial services, thus making it truly universal. Scalable & reliable backend: This forms the core of the Smobilpay platform, offering various back-end modules to drive payments. The platform includes features such as Fee Engine, Commission manager, Limits management, Reporting and various adapters to financial institutions and payment networks. Simple secure and powerful APIs: Opening up the platform via secure APIs that offer encryption to prevent fraud as well as multi factor authentication make it easy to grow an ecosystem of services around the core product. Developers can leverage the open APIs to create and deploy Smobilpay compatible “plugins” easily. § Enterprise Adapters: Processing payments require connectors to service providers in different industries. With our experience, we have streamlined our interfaces and integration processes by offering adapters that simplify the integration of new merchants. This offers operators cost savings over the lifetime of the product. Seamless transaction processing: Smobilpay seamlessly processes transactions, settlements and reconciliations while supporting other essential business services such as credit and debit and balances. Additionally it also provides a wide set of client interfaces that sit on top of the payment processing layer.